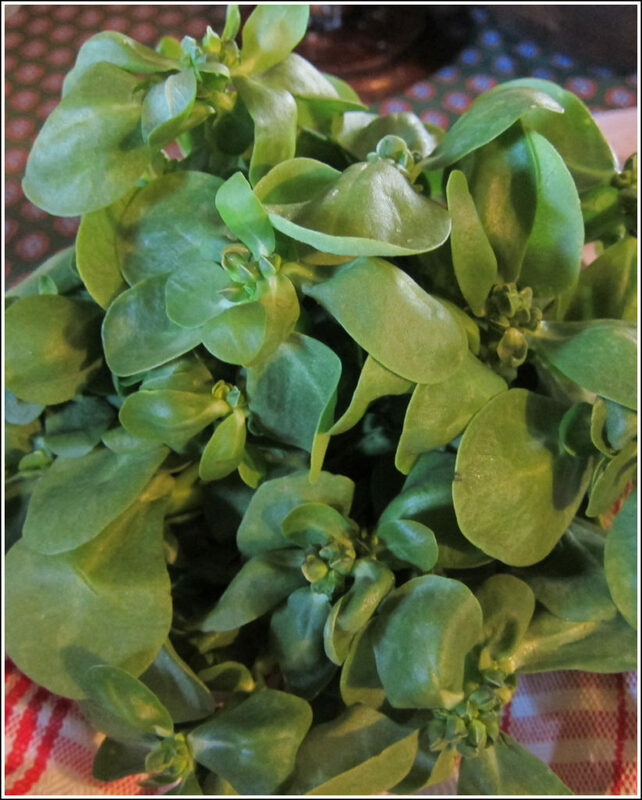 The last time I wrote about purslane/semizotu was way back in September and now it’s back in all its leafy glory! If I had to give Ayvacık market a colour on Friday, it would have been green: everything was a vibrant spring emerald punctuated with the brilliant red of the piles of sweet-smelling strawberries. What to buy, that was the question! One can so easily get carried away by the sheer abundance of it all plus of course, one’s tastebuds are tingling after their hibernation over the winter months that it’s easy to go crazy. It was Daughter No 1 who was with us this weekend in Assos and who reminded me of this salad that I was taught a long time ago by a Turkish friend İpek. It was her contribution to our annual potluck that about 30 of us were having on board a Lüfer boat on the Bosphorus sailing gently down towards the Black Sea. Everbody is always very generous with these potlucks and the great thing is that you get to try things that you yourself may not know. At home I duplicated this salad immediately – it wasn’t difficult – and it has remained a firm summer favourite ever since. The combination of ingredients is unusual and the finished dish looks great with the purple sumac scattered over it all. And personally I always think nuts jazz up a salad! 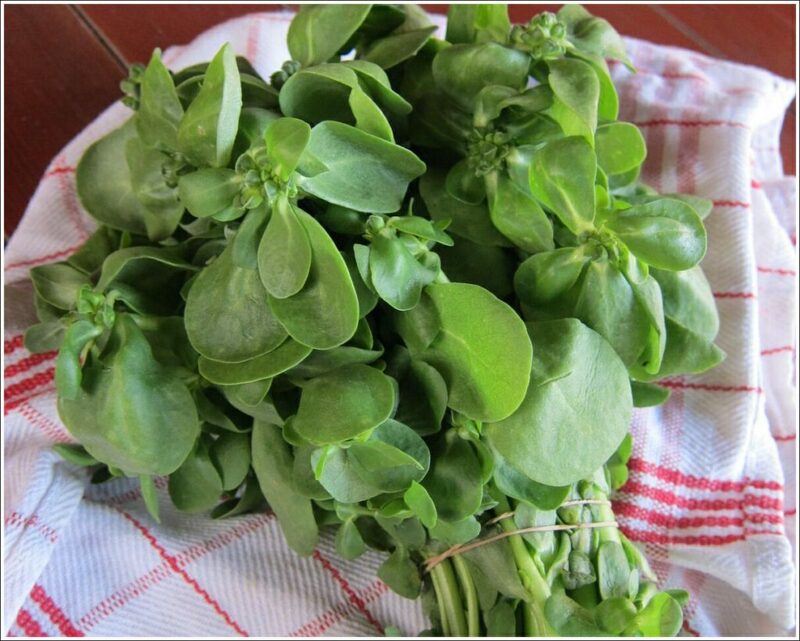 · Trim the bunch of purslane, discarding the thicker stalks, and put the leaves in a colander. Wash and then drain carefully. Place on a tea towel to catch the remaining moisture. · Wash the tomatoes and halve. Roughly grate each half onto a plate. 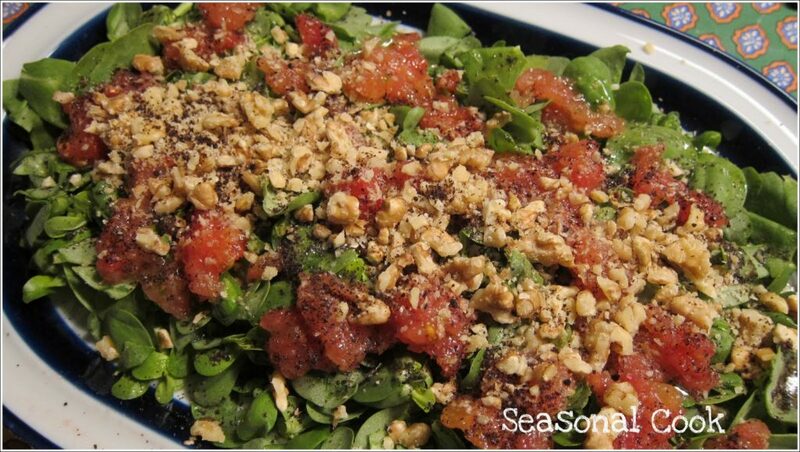 · Arrange the purslane on a serving plate and chop roughly so that the leaves aren’t too big. Scatter the tomato pieces over it and drizzle with olive oil. Sprinkle with salt to taste. 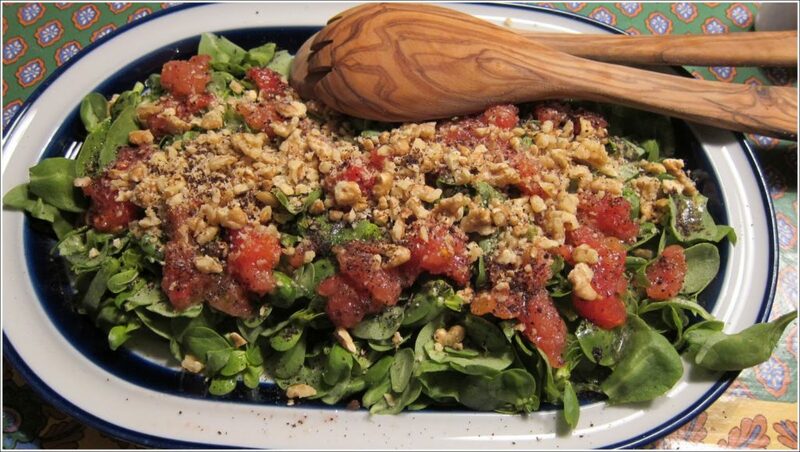 Follow by adding the chopped walnuts down the centre and then sprinkle the sumac on top. *Sumac is a Middle Eastern spice with a sourish taste so is often used instead of lemon. I love its purple colour. I read in Ottolenghi that amazingly it is now available in Waitrose in the UK in the spice section. Otherwise you will find it in Middle Eastern shops. Here we have no problem! 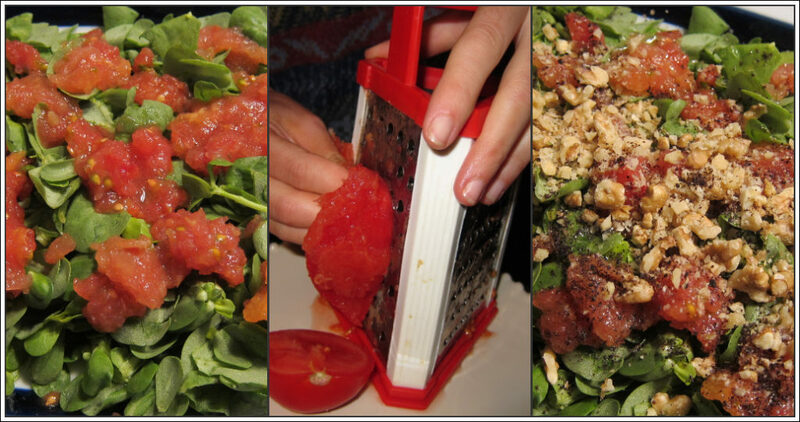 When you add the chopped tomatoes, be careful how much of the juice you add as you don’t want to make the salad too soggy. I expect it will grow back, don't worry! Glad YOU are safely back anyway…. Looks great! You must be having a fabulous time over there in Turkey! Oh this looks fabulous! Thanks for the visit at sixtyfivewhatnow.